Are you looking for a small rock chip repair service in the Lawrence area? You’re driving along when suddenly the truck in front of you throws up a rock from its tire that hits your windshield. It’s just a small rock and you’re surprised how loud it is, but sure enough there’s a small rock chip in your windshield. With a small rock chip in the window, a chip repair will stop the damage from getting worse, requiring a full windshield replacement, which will cost $300 to $500. 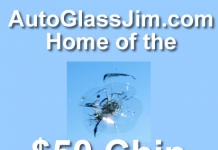 So, when you notice a small rock chip in your car windshield, don’t put off having it repaired. As long as the chip is smaller than a quarter, I can repair it by injecting a clear polymer into the crack that keeps the damage from getting worse. I offer on-site small rock chip repair in the Lawrence, Kansas area for only $50. Call or text Jim at 785/393-3424 to have your rock chip repaired right away. 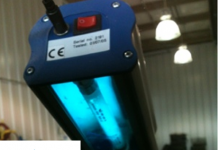 All chip repairs are different and depending on the type of break and severity of the impact some repairs will be almost totally invisible, but others will show only minor improvement in appearance. Visibly, the repaired area will look better (by 50 to 85%). Of course the main reason to repair a windshield is to save the cost of replacing the windshield, and to make it look better. Because all repairs are different, some turn out visibly better than others. Here are a few examples of rock chips that are repairable. Call me now at (785) 393-3424 to get quick, dependable service. I have references available if you need them. 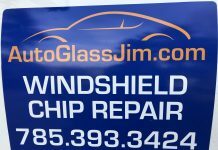 I’ll repair an additional windshield chip for $10.